It’s not a new thought – the Greek philosopher Heraclitus is believed to have coined the phrase over 2,500 years ago. But it does seem like the pace of change is constantly accelerating. New technology comes on the scene daily and the way we do things is a lot different now than a few weeks ago much less a year or certainly a decade ago. I’ve been in the business of creating large scale meetings and events for 35 years (yes, that’s a long time!) so, as you can imagine, the events and experiences have changed dramatically. When I started, the main visual medium was projected 35mm slides that could dissolve or cut when I pushed a button in sync (hopefully) with a sound track playing from a reel-to-reel or cassette tape. Over the years, video began to accompany the slides. Then the slides were replaced by computer graphics, and all media became digital. The audio, video, projection and lighting equipment used in meetings became progressively more sophisticated and more powerful. The controllers all became computerized and the “wow” effects used in live events now include HD, 3D, 4D, VR and lots more initials. But another well known expression, “the more things change, the more they stay the same” (attributed to the French journalist and critic Jean-Baptists Alphonse Kerr in 1849 for those of you keeping score) also applies. While new tools have made the environment very different, many elements that make meetings more impactful have not changed. It’s always been important to have clear objectives and a clear vision of what success will look like. What do you want attendees to think, feel and do when they leave that is different from when they arrived? Make sure you have clear and well defined objectives so that the ROI can be measured. All of this helps create a sense of community and helps people feel part of something bigger than themselves. Journalism has long understood that people respond to people and to stories. The classic narrative structure – a story with characters, a plot, and a beginning, middle and end – is the way people best comprehend and understand the world. The best content – video and live – presents information as a story. Educators have long known that interactivity is key to both engagement and retention. In the 80’s and 90’s we did a lot of game shows, quizzes, panel discussions or presenter interviews with audience Q&A to help make sure messaging was received and accepted. Those tools are still effective, and today’s mobile technology gives you even more powerful ways to share content, gamify, live stream, capture data, and more. Along with interactivity, using a variety of formats to present information helps keep the audience involved and engaged. In addition to panel discussions and interviews mentioned earlier, TED-style presentations have become more prevalent. In addition, using audience peers as presenters expands the ideas of subject matter experts and can make topics more relevant and interesting. Recognition has always been a powerful tool for engagement. If your meeting does not include any awards, consider adding them. If it does, consider enhancing the experience to up the recognition. Another way of making attendees feel special is providing an experience they could not have gotten otherwise. This can often be accomplished by providing a special speaker or entertainment. The meeting environment can also provide easier access to executives than associates, dealers or franchisees would normally have. A meeting can be a very powerful messaging tool, but we know that effective messaging campaigns require multiple touch points. We counsel our clients to see a large meeting as a focal point of a broader campaign to engage stakeholders; and we put emphasis on all phases of the experience: before, during and after. Engaged stakeholders – employees, franchisees, dealers, salespeople, owners, managers – are what move the needle for your business. They are the difference between success and extinction. A meeting can be designed to inspire, excite and motivate them. That’s what we call creating Belief Through Experience. Remember Heraclitus? He also said that “you never stand in the same river twice” because the waters are flowing over you (I promise that was the last quote – but the guy did have a way with words!) and that is true of meetings. 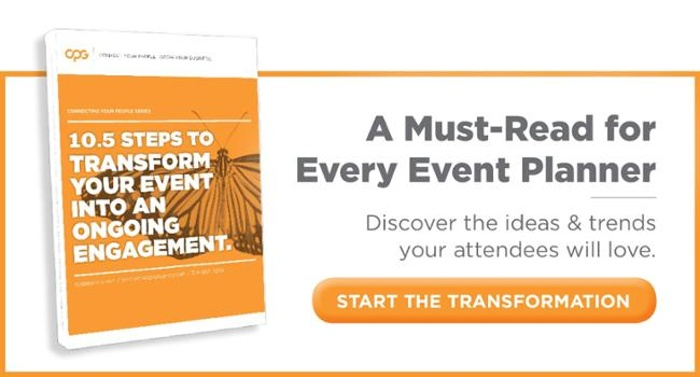 Technological changes will continue to make strides and alter the surface of what we do, but the elements needed to inspire growth in your attendees remain at the heart of every engaging meeting.